There are a lot of different kinds of dog grooming supplies out there. Choosing the right one may be overwhelming. 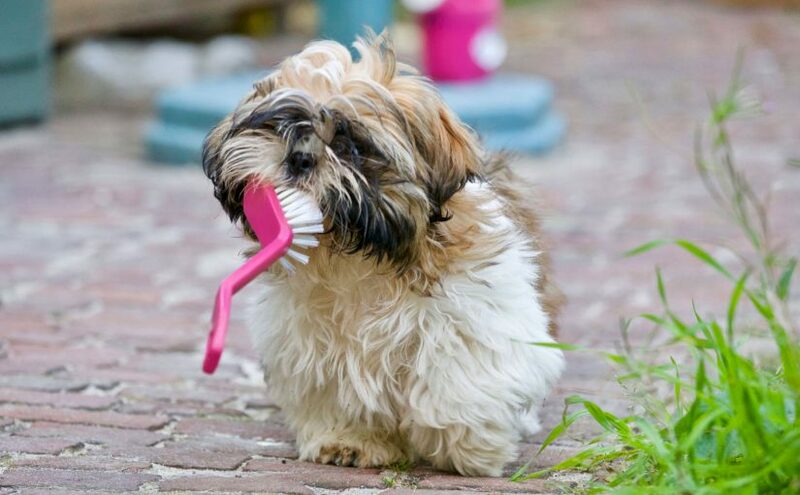 Just take dog brushes for example, do you know that there are different types? Today, we are going to focus on pin brushes. What the heck is a Pin Brush? According to the SlickerBrush website, a pin brush is a brush with wire pins, widely spaced and have ball-like ends that are either rubber or metal. Should you use a Pin Brush on Your Dog? Incase you are not sure of your dog’s breed and if your dog has specific concerns, it is always best to ask your veterinarian or a pet supply store employee for further guidance. In general, regardless of your dog’s breed, you have to brush your dog regularly as a part of grooming routine. Every few days is what the Animal Humane Society recommends. But if your dog sheds a lot, you may have to do it more often. When and when not to use a Pin Brush? Every brush type has different use, for a pin brush it’s for regular maintenance as mentioned above. You may have to use another type of brush for tangles and mats – enter the Slicker brush. Brush along the hair grain if your dog has long and flowing coat. Go along and against the grain for dogs with thin coats. Dogs with rough outer coat and soft undercoats. Brush against the grain when brushing the outer coat and brush against the grain for the inner coat. Where to buy Pin Brush? You can buy pin brushes at your local pet care store, but incase they don’t have it there’s always online retail stores like Amazon. Is this your first time grooming a dog? Don’t worry here are some tips to help you out. Keep your dog’s personality in mind when picking out a brush for your dog. It would be best to take a break if your dog is shaking, trying to run away from you, or if your dog is trying to bite you. It means that they are nervous or angry. So pay attention to your dog’s body language. If they growl, bark, or cry chances are they are trying to communicate something to you. Listen and find out why. Recommendations are just guides, but it all depends on your dog. If your dog doesn’t want to be groomed, it’s okay. Take a break or try again in a few days. Encourage positive behavior. Treats can come in handy. For dogs with long hair, pin brushes are suitable for everyday grooming. It prevents tangles and mats. 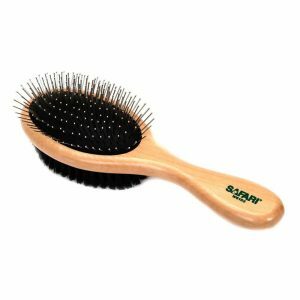 But if your dog already has tangles and mats use a slicker brush instead. You can purchase pin brushes at any pet supply store or online retail shops. The isolation of life as we perceive it to be is an illusion. Whether we are conscious of it or not, there are many dimensions of existence overlapping and permeating the world as we know it. ‘It’ is part of us and we are part of ‘it’ – we are never alone because we are all-one. Every one of us – whatever nation, race, religion or belief – has spirit helpers that guide us on our journey through life.